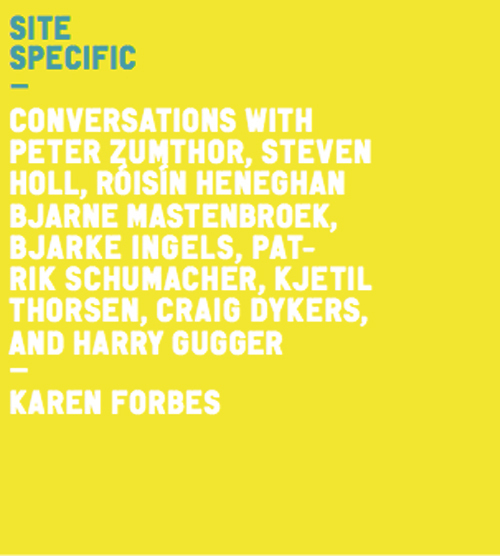 SITE SPECIFIC is an anthology of interviews with some of the finest architects and designers in the world, it offers an investigation into how place and context affects critical design development in an architectural site related program. 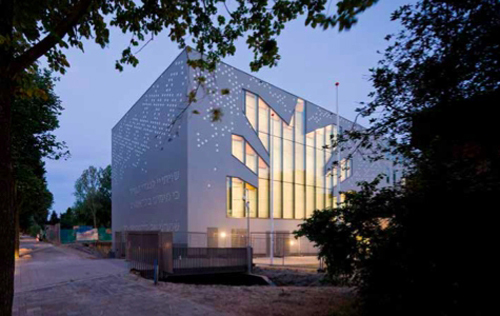 Architects were shortlisted for this project for their particular (and sometimes contrasting) modes of working with site specificity within European and American contemporary architectural practice. 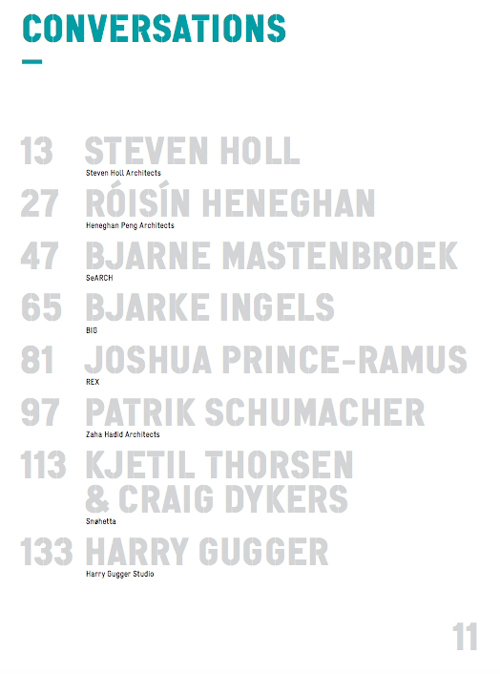 The selected architects (Peter Zumthor, Steven Holl, Roisin Heneghan (Heneghan Peng Architects), Bjarne Mastenbroek (SeARCH), Bjarke Ingels (BIG), Johua Prince-Ramus (REX), Patrik Schumacher (Zaha Hadid architects), Kjetil Thorsen & Craig Dykers (Snohetta), Harry Gugger (Harry Gugger Studio)) are working at an international level within their field and display a high level of intelligence and sensibility within their designs. 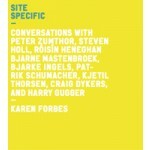 Site Specific offers the reader a chance to understand the deeper thinking of the architects. This insight can enhance significantly an understanding of some of the key issues in contemporary architectural practice today. 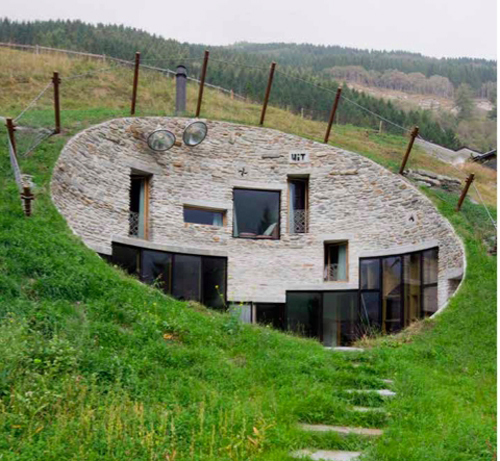 The reader SITE SPECIFIC gains an intimate portrait of the concerns, thoughts and feelings of these architects as they reflect on their own practice in the midst of their working challenges and successes. It reveals a more intricate individually nuanced reading of site, meaning and context. It offers the reader a series of studies in the form of interviews, which will inspire future and current architects to consider issues of context in greater depth.